The Viacom board met Thursday evening to approve a settlement that will change the face of the company. Philippe Dauman, CEO for the past 10 years, will step down, according to the terms of the settlement. The settlement ends a protracted battle over the future of Viacom (VIA), one of the world's largest media companies. Viacom owns cable channels like MTV and Nickelodeon and the movie studio Paramount. 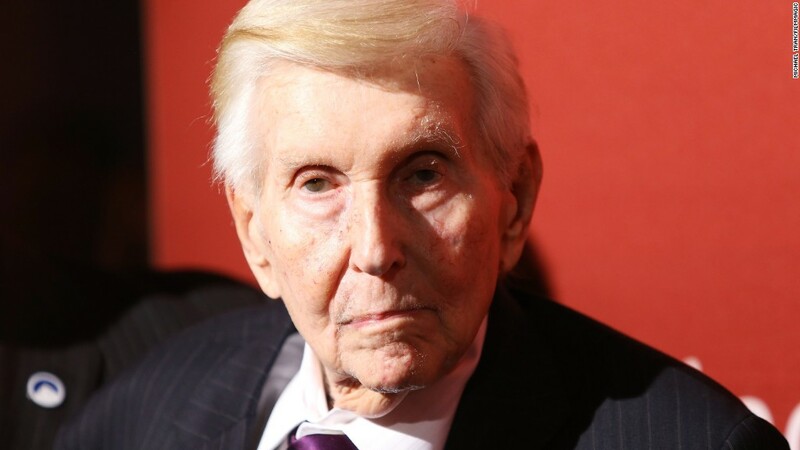 The company's controlling shareholder Sumner Redstone, and his daughter Shari, have been warring with Dauman and his allies for several months. The power struggle triggered multiple lawsuits, which Thursday's settlement is meant to resolve. Tom Dooley, the company's longtime chief operating officer, will be Dauman's interim successor. Dooley may become the permanent CEO, but not right away, according to a source. The source described the terms to CNNMoney, but only on condition of anonymity because it had yet to be formally announced. The deal could be formally announced Friday morning. It is the result of arduous negotiations made all the more intriguing by the fact that Dauman was Redstone's protege and confidant for decades. Redstone, 92, has been in very poor health. He can barely speak, according to numerous media reports and court filings. But he re-asserted himself in the past year, triggering a corporate governance crisis at Viacom. His daughter Shari, whom he was once estranged from, re-entered his life and won his trust. Around the same time, tensions flared between Redstone and Dauman. Redstone said in court filings that he wanted Dauman removed. Redstone's allies cited Viacom's lagging stock price and struggles with digital ventures. Dauman and his camp said Redstone was "clearly being manipulated by his daughter, Shari." Things went from bad to worse. Both sides duked it out in court. But the settlement leaves Redstone as the victor. Dauman is not walking away empty-handed -- not by a long shot. The New York Times reported that Dauman will receive a severance package of roughly $72 million. Representatives for the various factions did not immediately respond to requests for comment. For activist investors like Eric Jackson, who has been urging Dauman's exit since last January, Thursday's settlement was welcome news. "We've always said there was no single action that the Redstones could take to help increase Viacom's stock than the removal of Philippe Dauman," Jackson told CNNMoney. "This company can finally get creative again and breathe some life into the stock. Call all the Sam Bees, the John Olivers, the Brian Robbins, the Shane Smiths, and the Jon Stewarts and tell them that it's safe to return to Viacom."